InfoSight's LAN/WAN network implementation services ensure a smooth and well-coordinated startup of both local and wide area network. To create more cost-effective and scalable network infrastructures, we can assist you in reducing the complexity, inefficiency and inflexibility of your existing network environment. Identifying the applications and requirements. 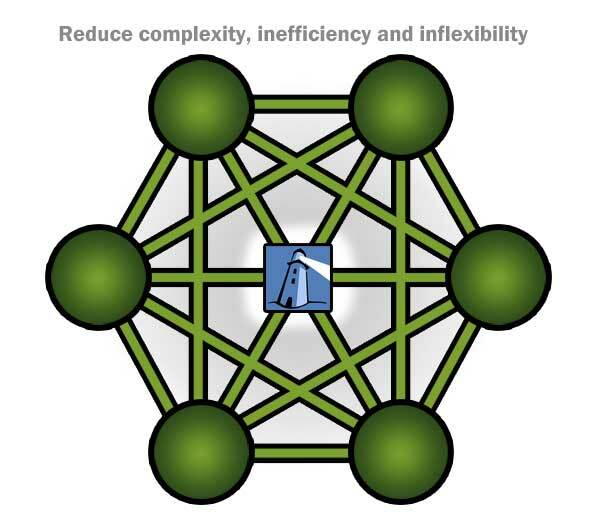 Consider network availability & disaster recovery. Design network security and accessibility. Discuss capacity planning & scalability requirements. We have decades of experience with all types of host and core processing conversions both outsourced and in-house implementations. Our project managers are experienced in delivering large, complex networks and small branches, so you can be assured that your projects will be professionally coordinated and managed from start to finish. InfoSight's experienced professionals can also complement your staff at any level. Our services extend beyond network hardware and software services and include proven solutions that also help meet regulatory compliance requirements. Consider InfoSight your "single source" for all your technology and compliance requirements.